As per the Income Tax Act, 1961 under section 139A, PAN or Permanent Account Number was made mandatory for the citizens of the country. The PAN is a 15 digit account number which is required to pay taxes and file IT-R (Income Tax Returns). The concept of PAN was first introduced in 1972 by the government of India and back then it was not mandatory for everyone. Now, that the PAN card is a mandatory document, the process of allotment of the account has also been simplified. People can either use the offline or online channel to get one for themselves. So, in case anyone wants to get a new PAN card and want to head through the online channel, follow our step-by-step guide. The process is simple; people just need to visit the respective online portal and fill up the online PAN application form. Also, note that there’s a penalty of Rs 10,000 for having more than one PAN card. 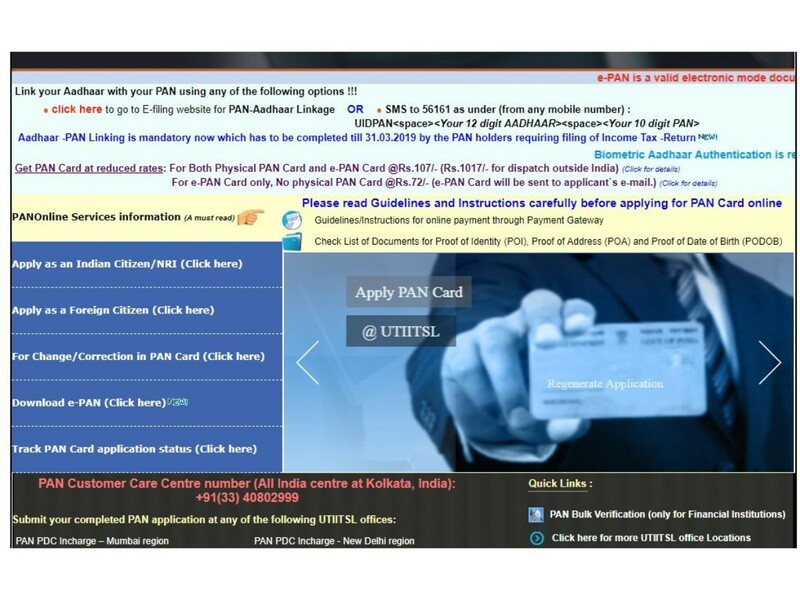 Alternatively, users can directly click on ‘https://www.pan.utiitsl.com/PAN/’ or https://www.onlineservices.nsdl.com/paam/endUserRegisterContact.html to go to the PAN card application. The details are personal, and it is mandatory to provide all the information. This information includes the full name of the applicant, address, date of birth, telephone number, gender and income-related information, etc. 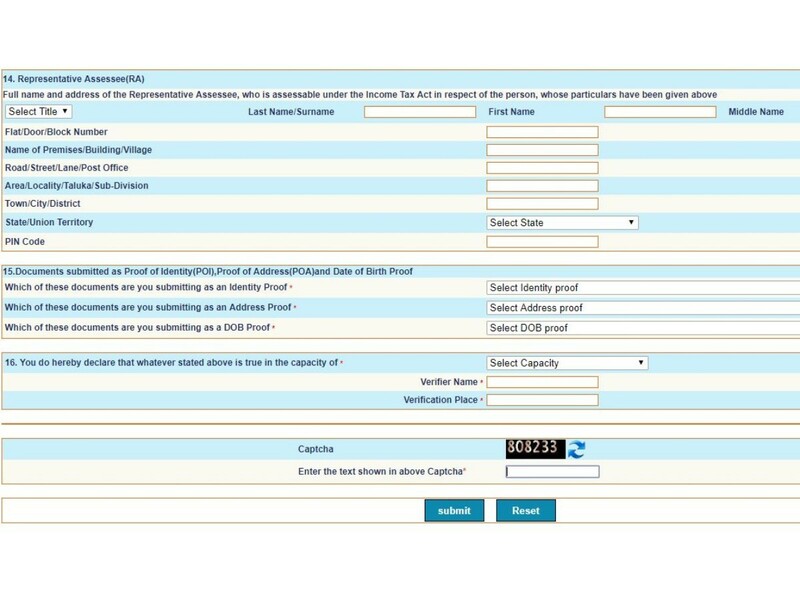 4.After this, users have to pay a nominal amount for the processing of the PAN application. For Indian residents, the charge is Rs 93, while foreign residents will have to pay Rs 864. Also, note that both the amounts are excluding the GST. 5.Make the payment via credit/debit card, demand draft or net-banking. Once the payment process is successful, save the acknowledgement number for future reference. Another essential thing to keep in mind that, once the application is accepted, applicants need to send the documents through courier or post to NSDL for further processing of the form along with the print out of the 15-digit acknowledgement number page with applicant’s signature on it. The list of documents includes. 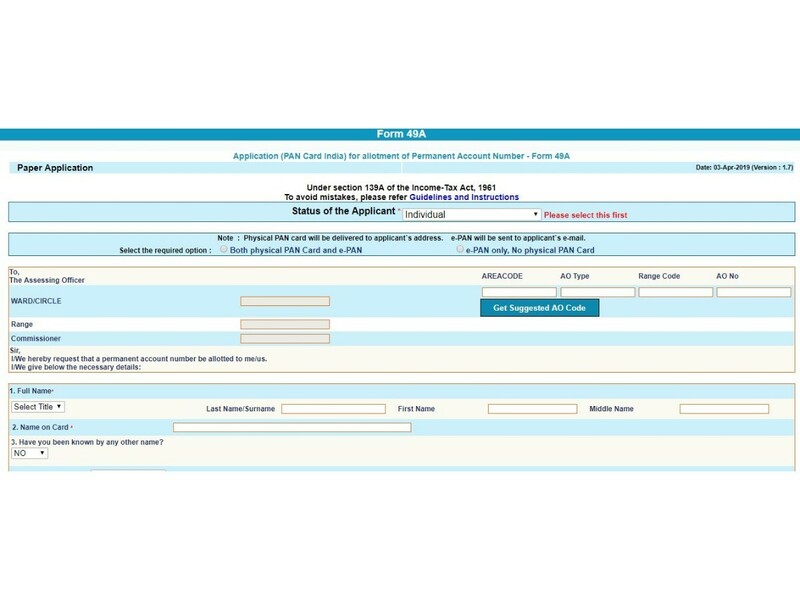 Once everything lands into the right place, the applicant will receive the PAN card via post.